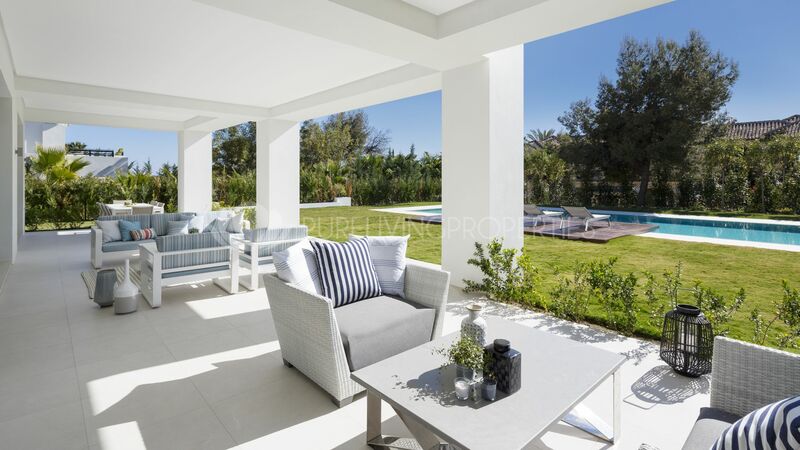 This brand new Villa is located in Sierra Blanca South facing with 24 h.security. 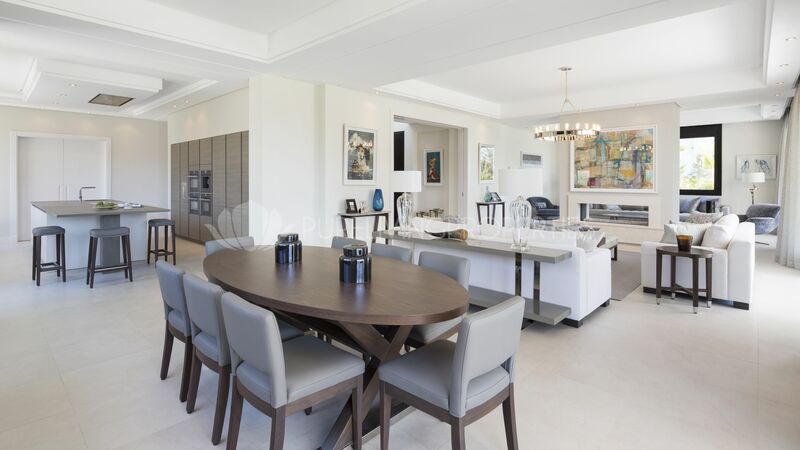 The amazing villa is finished to the highest specifications and comprises: on ground floor, impressive hall with double height ceiling; bright and spacious living room with fireplace and separate dinning room; all with access to a covered porch and the garden and pool; large kitchen with top quality appliances; children’s play room or TV room; utility room; guest toilet. First floor: master bedroom en-suite with a large dressing room, and 3 more bedrooms en-suite bedrooms. There are 2 terraces one of them overlooks the garden towards the sea and has direct access from the master bedroom and a guest bedroom; and the other one has access from another bedroom and the gallery. Lower level there is a pre-installation for cinema room; gym or games room; garage for 4 cars; 4 storage rooms; machinery room and guest toilet. The beautiful mature garden with heated pool. 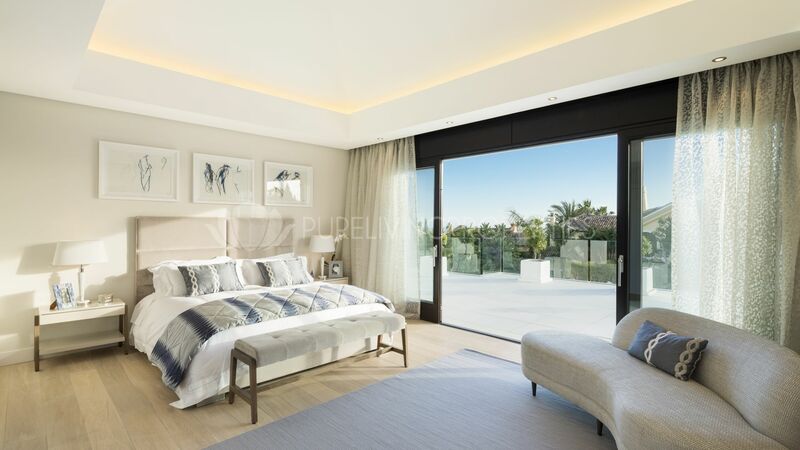 Features include: underfloor heating throughout, pre-installation of lift, central A/C, double glazed windows, wooden floors in bedrooms and marble floors in the main areas, domotic system. 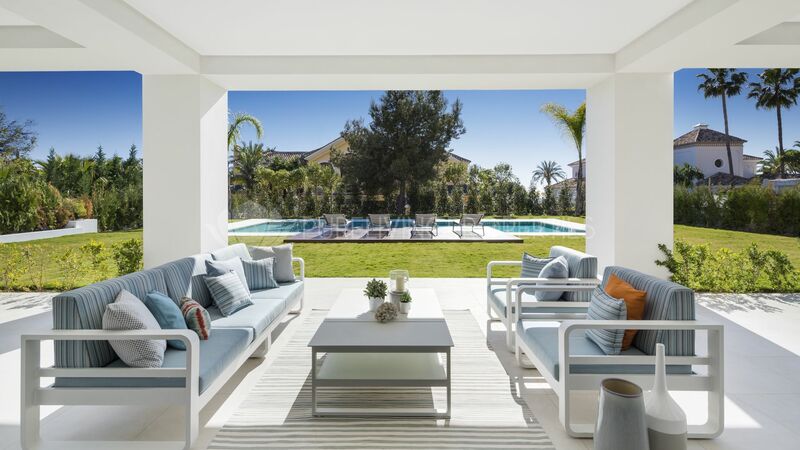 Please send me more information about ref PLP02203, Villa in Sierra Blanca, Marbella Golden Mile or similar properties.